Hasan Ross-El | Consolidated Planning, Inc. In 1992 Hasan entered the University of South Carolina as a Biology major with his sights set on medical school. While there he and a close friend founded Scholastic Profile, a full service barber shop in the Russell House located on the campus of USC. This venture was intended to provide the funds needed for the both of them to peruse careers in medicine. While operating Scholastic Profile Mr. Ross-EL also interned at one of the country’s largest investment firms, and it was there he realized his true passion. Hasan began his career as a financial representative in 2008. His wife Sha’ is a teacher in Lexington Richland District five. They have four wonderful kids that keep them on the go. Hasan spends most of his free time attending soccer tournaments, and dance competitions in support of his kids. Hasan is also a volunteer Court Appointed Special Advocate, a USC Black Alumni Council board member, and a member of the National Association of Insurance and Financial Advisors (NAIFA). At an early age he can vividly remember losing his childhood home to foreclosure. It was due to his families’ financial struggles that he saw the need to educate others on how to create generational wealth, and find financial independence. The cultivation of practical, theoretical and personal experiences fuels his passion to encourage, enlighten and empower others to do more have more, and worry less. Hasan’s primary markets are attorneys, business owners, and high net worth individuals; nevertheless, Hasan is willing to assist anyone willing to live by design, and not by default. After Graduating from the Citadel in 2010 Luke came to work in his family’s Insurance Firm, Breeden Insurance Services, Inc. Located in Lexinton, he is married to his wife Courtney Wilkes Breeden. Ronnie joined Consolidated Planning as Financial Representative in 2013. Prior to Consolidated Planning, Ronnie held the position of Financial Advisor with another financial investment company. After serving in the financial services industry for 7 years, Dean witnessed firsthand the shortcomings of traditional financial planning. Registered Representative and Financial Advisor of Park Avenue Securities LLC. Greg joined Consolidated Planning as Financial Representative in 2007. Prior to Consolidated Planning, Greg held the position of Senior Account Manager with a leading staffing and executive search firm. After graduating from the University at Albany in 1993, Tom relocated to Charlotte from Upstate NY and joined CP in 2001 with the opportunity to build a career in financial services. Bart Ellis, a Greenville native, joined The PSGroup (of Consolidated Planning) in 2006 after working in marketing and public relations for six years. After graduating from Clemson University in 1995, Geoff spent 4 years working for a small engineering firm before entering the financial services industry. Andy is a native North Carolinian and has called Charlotte home since graduating from UNC at Charlotte in 1986. He has been blessed to enjoy a 25+ year career in the financial services industry. Registered Representative and Financial Advisor of Park Avenue Securities LLC (PAS). Financial Representative of Guardian. After graduating from Wake Forest University in 1984, Scott spent 7 years in the financial services industry before joining Consolidated Planning in 1991. Gregg has deep roots in medical financial planning. He has gained valuable insight and continues to learn from his physician father. Frank was born in Winston-Salem and graduated from University of North Carolina-Chapel Hill in 1975. Frank has been married for 31 wonderful years and has two children. Bob has the mission to help his clients protect their families due to a sudden death or disability, and provide adequate income for their retirement. Jeff, a graduate of Clemson University and native of Greenville, SC, has been a member of the Consolidated Planning (CP) team since 1989. Lisa Raye Hund is a Financial Representative with Consolidated Planning, Inc., and Investment Advisor Representative with Park Avenue Securities. She began her career in the financial services industry in 1997. Chris Long specializes in helping physicians of all stages of their career to maximize their assets and funds to achieve their goals. He combines his professional financial knowledge with his personal experience. Lang, was born in Richmond, Virginia and was raised in Charlotte. Lang currently lives in Charlotte with his wife Rachel. Together they have two sons, Taylor and Charlie who are both active students at N.C. State University. James is originally from Atlanta, Georgia, but has called Charlotte home since 1999. James graduated with honors from Queens College with a BA in Communications. Courtenay joined Consolidated Planning in mid-2008 after a successful career in the commercial and investment banking fields. He is a native of Concord, NC and a graduate of UNC-Chapel Hill. Tony along with Mike manages and guides all aspects of client services and wealth management. He creates and implements strategic portfolio allocations and investment solutions in the overall planning process. As a financial specialist, my team and I guide our clients to reach their goals by organizing, protecting, and focusing their financial world. A Charlotte native, Dennis received his B.S. degree in Commerce from Washington & Lee University and an MBA from Emory University. We help our clients achieve and enjoy financial prosperity, regardless of adverse circumstances that enter their lives. Brad Pemberton entered the insurance and investment planning business in March of 1996. He joined Consolidated Planning in June of 1997. A native of Marshville, NC, Brenda is a graduate of Wingate College with over 30 years’ experience in banking, mortgage lending and financial services. She joined Consolidated Planning in 2009. After graduating from Duke University in 1995, Nicole spent several years gaining a variety of life experiences in the sciences, the health industry and teaching before joining Consolidated Planning in 2011. Using an uncommon knowledge approach to finances, I teach individuals how to organize, protect, to be world class savers, invest and then use what resources they have to obtain their financial goals. Specialties Employee Benefits, Corporate Qualified Retirement Plans, Investment Planning, Retirement Distribution Planning, Business Continuation Planning. Kevin Silvey has been an insurance professional since 1989. Guardian is one of the largest mutual life insurance companies in America, with 150 years of experience in providing diversified financial solutions. Frances Simon has over three decades of experience in the financial services industry. Over the years she has acquired an in-depth knowledge of investment products and services. Charles is a graduate of the University of North Carolina at Charlotte where he earned his Bachelor’s degree in Business Administration with an emphasis in Marketing and Finance. Since 2000, Keith has been educating individuals, families, and small businesses, helping increase their confidence in their financial decisions. 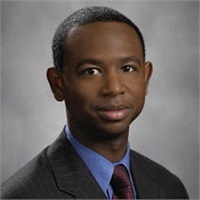 Michael A. Thompson, CLU serves as President of Thompson Planning Group, a Compensation Design Company established over 22 years ago here in Charlotte. TPG specializes in the design and implementation of highly tax favored Fortune 500..
Sandi spent 10 years in the banking industry before joining Consolidated Planning in 1995. After graduating from Appalachian State University in 2005, Adam spent 6 years in technology sales before joining Consolidated Planning in 2011 and currently works out of the Winston-Salem office. Andy joined Consolidated Planning in 2005, after several years of leadership success in the financial planning and technology industries. Rick is a graduate of the University of North Carolina at Charlotte, where he was point guard & captain of the UNCC basketball team. Bill Brincefield was born in Salisbury, NC and graduated from University of North Carolina-Charlotte in 1978, thanks to the G.I. Bill and his fulltime job at the Y.M.C.A. Sarah has 16 years experience with Guardian and Consolidated Planning, Inc., reaching the level of Brokerage Manager and Disability Income Specialist. Dave, a 1971 graduate of The University of North Carolina at Charlotte, first joined Consolidated Planning in April of 1988. Becky Thompson is the Director of Talent Acquisition for Consolidated Planning, Inc. Becky is a seasoned recruiting professional after stints with Mass Mutual and John Hancock. Click above to read Shaping Your Financial Future. A business owner and a Community Leader Helping individuals, families and businesses to get their financial world organized. Help them plan to achieve their financial goals by protecting their assets, income and lifestyle. Consolidated Planning is an Agency of The Guardian Life Insurance Company of America (Guardian), New York, NY. Securities products and services and advisory services offered through Park Avenue Securities, LLC (PAS), member FINRA, SIPC. OSJ: 4201 Congress Street, Ste. 295, Charlotte, NC 28209 800.532.2829. PAS is an indirect, wholly-owned subsidiary of Guardian. Consolidated Planning is not an affiliate or subsidiary of PAS or Guardian.